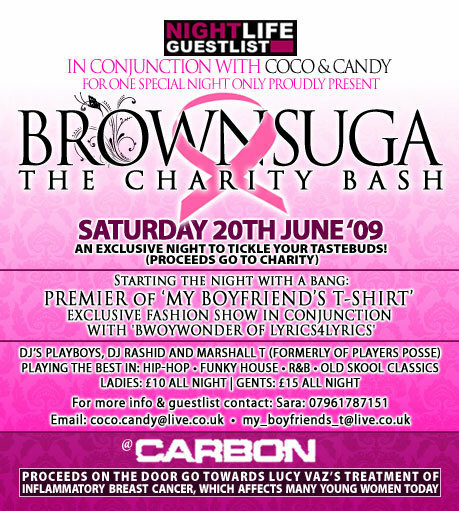 Brownsuga: The Charity Bash – UK URBAN FASHION SHOW! PREMIER of ‘My Boyfriend’s T-Shirt’. People come thru and support, the charity, my girl premieing her new fashion line ‘My Boyfriends T-Shirts anddd…..Come support ‘your mate’ Jukebox who’s providing the beats for the fashion show! chuuch, deuces – see you there!